Just before the conference starts, Pivotal Software is hosting a local meetup group for ApacheCon attendees and local Austin area residents. The topic is an introduction to their new open source project "Geode" that powers Pivotal GemFire. Food and drink will be provided. At Pivotal, Mike helped to create and structure the Cloud Foundry Foundation and is currently working on the OSS efforts around the Pivotal Big Data Suite and the Open Data Platform. The ASF is still the gold standard for demonstrating how communities can create amazing code. This was no accident of birth nor due to a grand architecture - it was due to a few inherited principles and a lot of amazing blood and sweat (and tears). But it's not been perfect, and there are huge issues for the ASF as an organization to address. There are external factors as well - 2015 is a different world and a different Internet than 1995. The Open Web is still as fragile today as it was then, and the stakes are a billion times higher. What could the ASF do to make its next 20 years even more impactful than the last? What can each of us do to make sure we can show up to ApacheCon in 2035, and be just as proud of what we've built? In this presentation Remi Bergsma shares his tool box of scripts that come in handy when you're working with CloudStack on a day-to-day basis. The scripts were written to automate operating the Schuberg Philis Mission Critical Cloud, which is built on top of CloudStack. The scripts are witten in Python using the Marvin library to talk to CloudStack. Some are just plain handy, others have a story to tell. We'll walk you through the tool box, present some common use cases and of course you can download them to give them a go! This talk will show how to use Apache Brooklyn to test and deploy blueprints for your production applications in the Cloud. Using Docker containers instead of virtual machines, Clocker enables testing of a full simulation of your production topology, allowing every aspect of your resilience, failover and scaling policies to be tested thoroughly. We will show how a multi tier, multi network application can be deployed in both a traditional Cloud and the Clocker managed Docker Cloud, using SDN technology to provide a full suite of network choices. Clocker uses Apache jclouds to provide this seamless access to both containers and virtual machines, thanks to its provider agnostic API, and Apache Brooklyn allows complex topologies to be described using industry standard YAML blueprints. Waaaaay back in 1995, when the WWW was still shiny and new, a group of programmers decided that they should band together to keep an abandoned web server project working, because they relied on it. 20 years on, the Apache Web Server is still the number one httpd on the entire Internet, and that project is now one of more than 160 at the Apache Software Foundation. Some of those original founding members have graciously joined us to kick off our httpd track talking about how things were then, and whether the project has measured up to their expectations and dreams. Apache OODT is a modular distributed data processing framework aimed to help collect, process and catalogue data. In our getting started tutorial, we will take a look at OODT, its various modules, how to build and deploy OODT using Radix or Docker, and how to modify and extend OODT to fit your data processing and storage needs. We will also look at how to process data, and distribute it across multiple servers. If you think you know Apache Incubator and its role in ASF -- think again! All the projects in the foundation are constantly evolving and Apache Incubator is no exception. Up until recently, It used to be the only gateway into the ASF family for new projects. While it is still predominantly the case, the emergence of pTLPs and fundamental rethinking of the mentorship approach makes it the most exciting time for new projects to come to the foundation. This presentation will cover the old school Incubator polices and will point out how they are changing and what new alternatives are now available for podling communities. It will also focus on areas where we are still experimenting with the process, how it relates to the ASF board of directors and how you can help speed things up. Finally, a few battle stories will be shared and wounds put on display. This outgoing Chair has a few to show. Apache Hadoop and its large family of related projects is a critical part of large scale Big Data analytics in the cloud. In this talk we will discuss feedback from users of our Apache Hadoop based service HDinsight. We will pull back the covers on this service and delve into how we’ve integrated open source components such as Hadoop, Pig, Hive, Oozie, Tez, Zookeeper and others. Users of HDinsight have provided valuable feedback which has led our team to contribute directly to some of these project communities. As you would expect our users have also benefited from the contributions of others. We’ll look at some of our contributions to projects like Hadoop, Hive and YARN and, more importantly, we’ll examine how you might leverage this work in your Hadoop workloads. Finally, we’ll look at how our partnerships with other community members have resulted in both easier deployment of Big Data apps to the cloud and accelerated innovation in these Apache projects. Cloudsoft is best known as the founder of Brooklyn - an Apache Incubator project. In this talk we look at the background to Brooklyn; its fundamental role in a new open source project Clocker aka the Docker cloud maker; and how it integrates seamlessly with Cloud Foundry providing developers with access to a wide range of services. Kids need a community too! The Apache Way emerged over a decade ago from the shared experiences of thousands of developers with the desire to create a community that would build world class software. Our children are growing up in a world where there will be billions of lines of code to rewrite, maintain, and innovate on top of. The FIRST Robotics Competition is a unique competition designed around team building, bot building, and mentorship. The competition is full of not just technical challenges but community challenges. This talk will discuss some of the lessons learned implementing the Apache Way with kids. A community lives and dies by it's ability to be carried on by the next generation. We should all be committed to ensuring that these young developers not only have tools and knowledge but also the understanding of how to work in and build new communities. The traditional Cordova CLI based development workflow is often difficult to add into existing web apps or combine with other popular tools such as Sass, CoffeeScript, Bower etc. I will demonstrate the cordova tools API using a simple workflow based on Gulp where Cordova can easily coexist with such tools allowing for greater flexibility in workflow customization and automation. The NASA Center for Climate Simulation (NCCS) is using Apache Hadoop for high-performance analytics because it optimizes computer clusters and combines distributed storage of large data sets with parallel computation. We have built a platform for developing new climate analysis capabilities with Hadoop. Hadoop is well known for text-based problems. Our scenario involves binary data. So, we created custom Java applications to read/write data during the MapReduce process. Our solution is unique because it: a) uses a custom composite key design for fast data access, and b) utilizes the Hadoop Bloom filter, a data structure designed to identify rapidly and memory-efficiently whether an element is present. This presentation, which touches on motivation, use cases, and lessons learned, will explore the software architecture, including all Apache contributions (Avro, Maven, etc.). Apache Zeppelin (incubating) is interactive data analytics environment for distributed data processing system. It provides beautiful interactive web-based interface, data visualization, collaborative work environment and many other nice features to make your data anayltics more fun and enjoyable. LeeMoonSoo will going to demo Zeppelin's features to show how it helps data analytics. Zeppelin provides integration with Apache Spark. Yet Zeppeiln has got flexible architecture to support various data processing backend. This presentation will describe how other projects integrate Zeppelin and leverage it with an example. As well as discussing current project roadmap. Kubernetes is a relatively new Apache Licensed project originating from Google that provides a framework for building clustered applications that run in Docker containers. This talk will begin with an introduction to the Kubernetes project and discuss the architectural principles behind the project. We will then explore how to implement and deploy Kubernetes and then close with walk-throughs of how to build several different kinds of applications using Kubernetes. Steve Watt is a Consulting Software Engineer at Red Hat and is a member of the Kubernetes Storage Special Interest Group (SIG). Steve leads Red Hat’s Platform (OpenShift and RHEL Atomic) and Storage (Gluster and Ceph) engineering initiatives for Container Storage. The days of deploying the default, example httpd.conf to enable mod_ssl are long gone. Smart organizations and business have changed their cipher suite, added ECDHE keys and stronger RSA keys to now default to forward secrecy operation. They have shifted from SSL session caches to session tickets to further attain perfect forward secrecy. And they are rolling out OCSP stapling services, they are dropping the SSLv3 Protocol and they are adopting TLS virtual hosting to solidify their deployments. Learn the out of the box httpd mod_ssl facilities, and how to harden and enhance your web server deployments. The Cordova project can sometimes be hard to contribute to given the large number of pieces that make it up. There are a few tools that make it much more manageable though. In this session, Andrew will cover many of the tools and techniques that make developing on Cordova a more coherent experience. Climate change is amplified in the Polar Regions. Polar amplification is captured via space and airborne remote sensing, in-situ measurement, and climate modeling. While simply finding these data is often a challenge, this talk will focus on what to do with the data (and metadata) once it is found! Here we present our current efforts using Apache Tika to help us ask some big questions about Arctic and Antarctic data. Apache Tika is an open source framework for metadata exploration, automatic text mining, and information retrieval. Over the past year, we have expanded Apache Tika to parse, extract, and analyze common data formats used in Arctic and Antarctic research making them more easily accessible, searchable, and retrievable by all major content management systems. Come to this talk to hear about how we’ve expanded Tika and what cool new insights we have into polar data! Large scale data analysis often requires merging event-based data and file-based data. Often two or more tools are required to ingest these types of data. In this presentation, Joey Echeverria will explore at how to integrate Apache Flume and Apache NiFi, which is currently undergoing incubation at the ASF, to build complex data flows that enable advanced analysis. There is a great community behind this toolkit working together to provide a better experience for developers in the cloud. Their goal is to simplify the control of many different clouds in your application. The result is a toolkit that allows developers to write better code, in a shorter period of time, that works across many clouds. Learn about how jclouds is used by others to innovate and what jclouds can do for you. Containerization is one of the most promising new abstractions to hit the datacenter. Docker in particular has provided great innovation in terms of simple application packaging, isolation of dependencies and deployment to single machines. While building and deployment of containers on services is now much easier, it’s still challenging to run them at scale, on 10,000s of servers. In this hands-on workshop, you will learn how to build a multi-container application, deploy it, scale it, add health checks and implement service discovery using Apache Mesos and the open source Marathon project. One of the biggest new improvements in the httpd 2.4 line has been the features and performance improvements in mod_proxy, which implements reverse proxy capability in httpd. Jim will detail those. These days, all our data moves away from us. We comment in someone else's site. We store our photos behind lengthy terms of service. We scatter our digital selves across the cloudy online landscape. We can also change things for the better. In this talk, we'll explore the self-centered world of offline-first applications. Apache CouchDB's replication protocol has provided simple data movement for over a half decade. Adding PouchDB to the mix (with it's CouchDB compatible replication), means our data can start close to us and move to the Cloud when we choose--or when the Cloud happens to be available. We'll first explore the personal and business implications, then an example application that combines Apache CouchDB, PouchDB, and pouch.host to build an offline-first, egocentric application to prove the points. Streaming-OODT was designed to overcome the limitations Apache OODT, which does not include cutting-edge data processing technologies and is limited in its ability to handle extremely large data sets. As an extension to Apache OODT funded through the NASA Jet Propulsion Laboratory’s Big Data Research & Technology Development initiative “Archiving, Processing and Dissemination for the Big Data Era”, Streaming-OODT encapsulates state-of-the-art big data technologies within Apache OODT providing a prepackaged yet powerful data system. Streaming-OODT enables OODT to use in-memory MapReduce processing provided by Apache Spark. Cluster management and multi-tenancy is provided via Apache Mesos. Apache Kafka and Spark Streaming enable the system to handle both streaming data types and streaming processing. All of which enable Apache OODT to handle next generation big data. Apache Lens enables multi-dimensional queries in a unified way over datasets stored in multiple warehouses. Apache Lens allows queries to be executed where the data resides providing logical data Cube abstraction. In a typical enterprise multiple data warehouses co-exist, as single one does not address the needs of all workload requirements in cost-effective way. Apache Hive is one of the widely-used data warehouse in the Hadoop ecosystem. The traditional Columnar data warehouses complement Apache Hive for summarized and very frequently accessed data. Having multiple data warehouses leads to data silos that Lens aims to cut within the enterprise and provide a holistic unified access. In this talk Sharad Agarwal and Amareshwari Sriraramadasu will present the current and upcoming features. They will also give the live demonstration of Apache Lens salient features. Everybody's getting a private cloud install these days. Look at those racks, all those shiny new boxes, all that juicy compute and storage, just sitting there, running daytime HR or web serving workloads. Wouldn't you love to get your hands on that spare capacity and put it to real use? Burst your Hadoop workloads into it when no one else needed it, without angering the neighbors? At HP Helion we're working on an OpenStack system to add more knobs and dials to your private cloud workloads, and make it easy to figure out how much spare capacity you have, and then put that compute and storage to work when it isn't in use. In this talk we'll outline the problem space, talk about some approaches to spanning existing Hadoop installs and private clouds, and then show the solution we're building out that lets you consume capacity as it's available, and give it back when it's needed elsewhere. Batch processing is common in industries for offline data compute. Typically it is bulk-oriented, non-interactive & long running—and is data & computation-intensive. Batch platform requires business to maintain & operate huge backend infrastructure. While there are hadoop infrastructures, not all batch jobs can be run on hadoop. Compute requirement for batch jobs also varies widely. It is most desirable to have an infrastructure, which is shared, scale on demand, easy to maintain. We propose an architecture for “Elastic compute for batch platform” using Mesos, Docker, swift object storage & chronos scheduler. We made sure user perception of state-full elastic workload is protected while giving flexibility to the backend infrastructure to isolate compute, storage, environment and monitoring. As we celebrate 20 years of the Apache httpd server, another project is also celebrating 20 years: PHP. For better or worse (depending on your own personal preferences), PHP is here to stay for the foreseeable future. According to w3techs.com, PHP is still used as the server-side language on 82% of sites! Most operating systems include ports and packages for both httpd and PHP, and the most common way to combine the #1 web server and #1 server-side language is with the Apache module. This has caused many issues with things such as threading, resource usage, and security. In this talk Jim will describe and demonstrate the conversion of a site from mod_php inside httpd to PHP-FPM via mod_proxy_fcgi. This conversion allows you to treat PHP like the application it is and let httpd do what it does best: serve content quickly and efficiently. It is time to finally do away with mod_php! The NASA Jet Propulsion Laboratories (JPL) Physical Oceanography Distributed Active Archive Center (PO.DAAC) is one of a number of NASA data archive’s containing many petabytes of oceanographic data. The primary goal (and challenge) for PO.DAAC is to enable provision, dissemination and availability of such data to the global scientific community at large. The driving justification behind the Internationalization Product Retrieval Services (iPReS) project is to address the growing requirement for PO.DAAC to provide high quality data products and services in a user-oriented manner by introducing language translation support for any data products retrieved from the data archive. Currently, this information is available only in English. This presentation will display how recent work undertaken on Apache Tika's Translate API has been leveraged to back the iPReS Service. Apache MRQL (incubating) is a new query processing system for large-scale, distributed data analysis. MRQL is more powerful than other query languages for distributed data analysis because it can operate on more complex data and supports more powerful query constructs. With MRQL, users are able to express complex data analysis tasks, such as PageRank, k-means clustering, and matrix factorization, using declarative queries exclusively, while the MRQL query processing system is able to compile these queries to efficient Java code that can run on multiple distributed processing platforms (currently Apache Hadoop MapReduce, Hama, Spark, and Flink). In this presentation, Leonidas Fegaras will give a brief overview of the MRQL query language and query processing architecture, will compare MRQL with other related Apache projects, and will discuss current state and future plans. Operations in datacenters today suffer huge inefficiencies because services are placed in static partitions and they require a lot of manual intervention to operate at scale, at high efficiency, and at high-availability. Most of these challenges stem from a host-centric view of the world, where operators have to work at the level individual servers. This is a “broken” part of the datacenter that is the target of many of Apache’s most interesting projects. In this talk, Christos Kozyrakis, Director of Research at Mesosphere, will explain the emergent “treating your datacenter like a single computer” model, and highlight specific Apache Projects (Apache Mesos, Apache Zookeeper and Apache Spark) that are making this possible. How do we solve the problem of shortage software engineers and lack of CS courses in American high schools? Roll up your sleeves and do something about it! Come and learn how you can help solve this problem. TEALS (Technology Education And Literacy in Schools) is a grassroots program that recruits, trains, mentors, and places high tech professionals from across the country who are passionate about computer science education into high school classes as volunteer teachers in a team teaching model where the school district is unable to meet their students’ CS needs on its own. TEALS works with committed partner schools and classroom teachers to eventually hand off the CS courses to the classroom teachers. The school will then be able to maintain and grow a sustainable CS program on their own. This talk will show how to create a Docker cloud using Apache Brooklyn, an ASF incubator project that provides autonomic policy based application deployment and management, in combination with Apache jclouds, the multi-cloud toolkit for the JVM to create portable applications across clouds. Clocker is an Apache licensed open source Brooklyn application that combines intelligent placement, on-demand provisioning and autonomic management of Docker containers. Clocker uses Apache jclouds to provision hosts on any supported cloud provider, and creates containers using a jclouds driver which consumes the Docker API. Clocker also extends Docker with SDN integration, using pluggable providers such as Weave. We will show how to use Apache Brooklyn to deploy and manage composite applications across multiple Docker hosts in the cloud. Andrea is a Senior Software Engineer at Cloudsoft. He’s a committer for the Apache jclouds and Apache Brooklyn projects. PHP is growing so fast we decided to skip PHP 6 and jump right into PHP 7! Haven’t been keeping up? Well in this talk we will introduce to you all of the latest and greatest features, benefits, bells and whistles of PHP 7. From how it can make your existing applications faster, to the new language and extension features it has this talk will leave you itching to begin using all the PHP 7 goodness in your next development project! Preparing mobile apps to accommodate large-scale growth brings fundamentally new challenges to backend management: the availability of data on offline devices, database sync and replication, and previously unimaginable usage spikes brought on by live events and media features. With mobile apps, you have to make it big. In this talk, IBM Developer Advocate Andrew Trice argues that the rise of mobile introduces new challenges (e.g. offline application data and database sync) that fundamentally cannot be addressed in even the most complex relational database management systems (RDBMS). Andrew will discuss current work at IBM Cloudant to launch enterprise-grade mobile-back-end-as-a-service (MBaaS) products and to simplify data management for mobile developers in both the public and private cloud. The DARPA Memex project and NSF Polar Cyber Infrastructure project have been funding a ton of improvements in the Apache Tika framework. Apache Tika is a content detection and analysis toolkit that has support for file type identification (MIME identification) for over 1200 types of files; extraction of text and metadata and language information from those files; even translation! Though Tika supports all those file types, its support for extraction from images, and videos has been lacking. Via the Memex and NSF projects, we have expanded Tika to extract text from images (using Tesseract OCR); and are actively integrating other analyses (Visual Sentiment analysis; geo-location using toolkits like GDAL; and analyes of scenes and objects). I'll tell you all about how to install and use these improvements and even illustrate them in a cool example from Memex and NSF Polar. Apache HTrace is a new incubator project which makes it easier to monitor and understand the performance of distributed systems. HTrace aims to provide a truly end-to-end, cluster-wide view of how requests are processed in a production distributed system-- similar to Google's Dapper or the XTrace network tracing framework. I will talk about the architecture of HTrace and how it fits into the stack. There is a lot happening in the HTrace project, and I will discuss some of the new features that are on the horizon, such as the web interface and htraced daemon. We are working on integrating HTrace into a few Apache projects such as HDFS, HBase, and Accumulo, and we hope to have many more in the future. I will talk about how developers and users can get involved with the HTrace community. (phrases like “You may have noticed” and “I’d just like to point out” and “I don’t mean to be [a pedant, sexist, etc], but…”). community, and as long as she’s that way, I won’t be able to change anything” to “Etiquette is stupid; people should just say what they mean,” so we’ll spend some time debunking many of the common excuses for what is, essentially, poor behavior. Finally, we'll spend some time talking about steps that individuals can take to reduce the “DIScon level” of the communities in which they participate and why doing so is so critical for FOSS's survival. Comcast--a platinum sponsor of ApacheCon—delivers all its IP video using software developed by its Video IP Engineering and Research (VIPER) division. VIPER was founded more than five years ago with a clear vision—to deploy the IP video software that would change the way we watch television. Based in Denver, Colorado, VIPER has 150 engineers, operators, and staff and is still growing. Comcast VIPER uses many Apache projects, including Apache HTTP Server/APR, Apache Traffic Server, Hadoop/Pig/Storm/Flume, Flex, Kafka, and Tomcat/Maven/Commons. In his keynote, Nikita Ivanov will provide a brief introduction to Apache IgniteTM, a new Apache project in incubation. Apache Ignite is the first open source, in-memory data fabric designed to add speed and scale to real-time analytics, high-volume transactions and hybrid data processing. Apache Ignite works with new or existing applications and data stores, including SQL, NoSQL and Hadoop. The Apache Software Foundation is fifteen years old and the Apache Web Server project is 20. During that time not only has the web server helped deliver the world wide web as we know it today but the foundation has repeated that success across hundreds of projects. The foundation brings immense value to the to the IT industry within those projects, but it also provides a model for facilitating collaboration across all types and sizes of organization. The ASF model for open source development is something that we draw upon in the .Net Foundation, an independent organization to foster open development and collaboration around the growing collection of open source technologies for .NET, Microsoft’s comprehensive development framework. In this session we’ll look Microsoft’s engagement with Apache projects in order to identify what, in our experience, makes the Apache Software Foundation successful. We’ll also discuss a few key differences between the ASF and the .Net Foundation governance models. Finally, we’ll take a look into the future and see how projects in the respective foundations will continue to benefit from one another’s existence. The YARN framework is getting more popular as foundation for managing cluster resources. However, developing / deploying / managing distributed applications on YARN cluster requires expertise. Apache Slider is a YARN application to deploy existing distributed applications on YARN, monitor them and make them larger or smaller as desired -even while the application is running. Slider allows users to create on-demand applications in a YARN cluster. It allow users to configure different application instances differently. Application instances can be stopped / suspended / resumed as needed. Docker based app packaging is also supported. In this presentation, we will review what applications need when deployed on YARN, discuss how Slider makes application deployment and management easier, the challenges Slider faces and showcase applications that are ready to be deployed through Slider. As VP of Brand Management for all Apache projects, Shane can help show business and technical leaders some of the ways they can respectfully and successfully market and position their own services and products in relation to Apache project brands. The key message is: Apache project governance is independent; but we are happy to have businesses build their software and services on any Apache software products. You may incorporate Apache brands within your brands, but in specific ways that still give our communities credit. We're here to help! technologies which catch your eye! This is a new era of Nick Burch's famous talks that he has given at many ApacheCons to date. Universal Apps are the promise of applications that can easy run on any Windows device, but is that enough? How about running on any Windows device as well as any mobile device regardless of operating system? Cordova is an excellent example of cross platform technology. Cordova is also THE example of Universal App enabler. During this session we will demonstrate what "Universal App" means in the context of Cordova. We will look at tooling that can be used to deliver on the Cordova vision of Universal App (and Cross Platform) paradigm. Apache Commons Math is a general-purpose mathematics library written in Java. In this talk, we will provide an overview of the library, showing how to use it to solve a wide range of common mathematical programming problems. Along the way, we will point out design and implementation challenges that we have faced over the years in choosing algorithms, developing the API, handling corner cases and balancing performance, accuracy and useability considerations. We will conclude with an update on work in progress and what the community is talking about regarding future directions. Apache Flink is one of the latest addition to the Apache family of data processing engines. Flink’s design aims to provide a system that is as fast as in-memory engines, while providing the reliability of Hadoop. Flink contains programming APIs in Java and Scala that unify batch processing and data streaming applications, a translation stack for transforming these programs to parallel data flows, and a runtime that supports both proper streaming and batch processing for executing these data flows in large compute clusters. Flink is compatible with the Hadoop ecosystem, and has a growing community of currently more than 70 contributors from industry and academia. In this presentation, Fabian will provide an overview of Flink both from the user standpoint and the system’s internal model, and discuss the project’s technical roadmap for the future. Whether developing a product or providing a service, companies are rushing to get their businesses cloud ready, increasingly (big) data driven and flexible enough to take advantage of the inherent business scalability opportunities offered by the cloud. And as the focus switches to the scale economies of execution, from ever cheaper opaque hosted web storage and connected services to the immutable containers movement, a question arises: what is the role of Open Source software in a world in which not only software (SaaS), but also platform (PaaS) and infrastructure (IaaS) are increasingly delivered (and consumed) as hosted services? In this session, we'll attempt to answer to this question, by providing examples of Open Source cloud & big data companies and studying the effects of open development ecosystems and how Open Source is engrained in the fabric of the Cloud. What's the best movie to see this weekend? This common question might be solved by asking "what does everyone on twitter like"? But it turns out writing a system to answer is complicated. First you pull an initial set of data based on keywords. Then you see most of your millions of tweets are noise and spam. Now you need filtering before you can do decision making. This can be a combination of heuristics (e.g., posters with no followers are probably spammers) and traditional NLP (e.g., tweets talking about movies in the future tense are not ones the poster has already seen). Apache UIMA (tm) provides and ideal framework for developing and deploying such a system. We demo a system to take a large pull from twitter, remove noise and calculate sentiment. We will show how a pipeline of a ~6 analytics can remove the majority of the junk and spam from the feed and get useful results. Corinthia is a brand new apache project, based on the very successfull UXwrite editor. Peter Kelly decided earlier this year to make his editor open source (Thanks), and we rapidly built a community around it. Corinthia is firstly a toolkit for document format conversion, that ffacilitates round trip conversion without data loss. The engine us a complete new idea comming from desktop editors like LO and AOO. The idea of the editor is not to replace a full fledged desktop editor, but merely to let you correct minor things when you discuss your work with friends wich of course happens on a tablet. Apache OODT is a data processing platform that has a number of modules, when ingesting data or once it has been ingested you can then process it through OODT workflows. Workflows are the OODT data transformation pipeline and allow you to pre or post process the data. We'll be looking at OODT workflows, how to build them, extend them, deploy them and optimise them so that they can be used by the wider community to help process data in large scale and small scale data processing pipelines. Enterprises are Increasingly demanding realtime analytics and insights to power use cases like personalization, monitoring and marketing. We will present Pulsar, a realtime streaming system used at eBay which can scale to millions of events per second with high availability and SQL-like language support, enabling realtime data enrichment, filtering and multi-dimensional metrics aggregation. We will discuss how Pulsar integrates with a number of open source Apache technologies like Kafka, Hadoop and Kylin (Apache incubator) to achieve the high scalability, availability and flexibility. We use Kafka to replay unprocessed events to avoid data loss and to stream realtime events into Hadoop enabling reconciliation of data between realtime and batch. We use Kylin to provide multi-dimensional OLAP capabilities. Project Geode is the newly open sourced engine that powers Pivotal GemFire. Attend this 3 hour hands-on lab to get a quick start in becoming a Project Geode developer-user. Work with the founding contributors and experts and walk away with a running cluster for your future work. Apache Kafka has been used in a growing number of companies such as LinkedIn, Netflix, and Uber. I will first describe a common pattern of how those companies are using Kafka. All data including business metrics, operational metrics, logs and database records are collected as structured data into Kafka in real time. These data are then fed into batch processing systems such as Hadoop and data warehouses, as well as various real time systems such as search indexes, stream processing frameworks, graph libraries, and monitoring engines. Next, I will explain some of the underlying technologies in Kafka that enable this common usage pattern. In particular, I will cover (1) the scale-out architecture of Kafka; (2) how Kafka achieves high throughput for both real time and non real time consumption; (3) how Kafka provides durability and availability. The Diego project was originally conceived as a rewrite of the Droplet Execution Agent (DEA) component of the Cloud Foundry elastic runtime, the component responsible for scheduling, starting, stopping, and scaling applications in Linux containers. Since Diego’s inception, this development effort has been guided by core principles such as simplicity, loose coupling, high cohesion, separation of concerns, and seeking the right abstractions. These guiding principles have resulted in an extremely modular platform that provides a welcome home for your microservices. Microservices are loosely coupled, independently deployable applications whose individual scopes are guided by the concept of bounded contexts. Martin Fowler has described well the operational maturity required to employ microservices architectures, memorably stating “you must be this tall to ride the microservices ride,” with the capability to do rapid deployment and basic monitoring. Diego’s opinionated automation and health checking provide a great platform for operating microservices. At the same time, this platform has clean abstractions that support useful extension points. In this presentation we'll explore the Diego architecture, highlight Diego’s role as the new core of the Cloud Foundry elastic runtime, and illustrated how Diego is being used as a component in other platforms such as Lattice and Spring XD. We'll also look at how Diego's abstractions provided an easy road to adding alternative backends for other platforms like core Windows/.NET support to Cloud Foundry. Finally, we'll discover how Diego's abstractions are providing the Spring Cloud project with a clear road to providing tighter integration between the Netflix OSS stack of services and Cloud Foundry, with a goal of enabling support for polyglot cloud-native application architectures. Oracle Linux provides a solid foundation for deploying Websites and mission-critical applications using Apache products. With innovative features such as zero-downtime kernel patching with Ksplice, support for emerging cloud technologies such as Docker, Linux Containers, and OpenStack, and real-time tracing with DTrace, Oracle Linux is an ideal choice for high traffic, critical services where downtime is not an option. Join Oracle Linux experts as they discuss how to leverage these key features of Oracle Linux with your Apache deployments. Chris Kawalek is a Senior Principal Product Director at Oracle. Shawn is a Senior Sales Consultant at Oracle. Understanding what drives growth in our open source communities can and should inform project decision making. But how can we measure the health and growth of Apache projects? How useful are metrics such as web traffic, committer activity, JIRA issues, and patches to provide insight? And how do project milestones including feature releases, becoming a TLP, and press/marketing impact metrics month-over-month? This presentation will introduce community metrics for Apache Aurora (currently in the Incubator) and Apache Mesos (TLP that graduated July 2013). As a case study, I'll provide an overview of metrics I've collected from incubation to today, and point to milestones in their histories that have led to substantial growth in activity. Attendees will come away with an understanding of how milestones impacted these metrics, and how they may evaluate the health of their own projects. DUCC is a new Linux cluster controller designed to scale out any Apache UIMA (tm) pipeline for high throughput collection processing jobs as well as for low latency real-time applications. DUCC stands for Distributed UIMA Cluster Computing. DUCC is running on cluster sizes from 1 to many 100s of machines. This talk will cover the motivations that led to the creation of DUCC (the IBM Watson Jeopardy! Challenge), DUCC's benefits to developers and to computing cluster administrators, and demos of what you can do with it. It will explain why DUCC is well suited to run large memory Java analytics in multiple threads in ways that fully utilizes modern multi-core machines. Attendees will leave with an appreciation of where DUCC "fits" in the UIMA set of subprojects, and an understanding of the value and applicability of using DUCC as part of their UIMA infrastructure deployments. Real Time Drug Safety Monitoring in the Cloud - Collecting and harnessing knowledge from large public data sources in real time to monitor and detect adverse drug effects. In this presentation, Pei and Jay will demonstrate an entire system using Apache BigTop, OpenStack, Spark, cTAKES, Cassandra to proactively monitor and detect adverse drug events from Twitter data. Jay Vyas works at Red Hat on various emerging tech projects and is a PMC member on the Apache BigTop CTakes projects, as well as a contributor to other projects in the ASF ecosystem. An elephant never forgets-- at least, not if that elephant is Apache Hadoop. The Hadoop Distributed Filesystem (HDFS) can store petabytes of data. Services that run on top of HDFS often want to cache or index some of that data. When files in HDFS change, or when more files are added, these services need to update their caches and indices. The new HDFS inotify API allows applications to listen for changes to files stored in HDFS. Instead of periodically rescanning the filesystem, applications can simply receive notifications about changes. In this talk, I will cover the design goals for INotify and how we accomplished them. I will talk about how other projects can make effective use of the new API. Finally, I'll discuss some ideas we might explore in the future. With many open source projects under Apache Software Foundation (ASF) umbrella, there are chance to use and incorporate some projects into commercial software product. With this presentation I would like to share some best practices and experience on incorporating some of ASF projects into commercially supported software and as well contribute back to the community. Learn how Apache TinkerPop 3, a recent Incubator addition, facilitates the inclusion of graph system technologies into production or data science environments. Graph systems have experienced a renaissance due to a renewed focus on understanding connections between data features in data sets. TinkerPop 3 supports both OLAP graph processors as well as OLTP graph databases, which are two ways of interacting with graphs. Learn how TinkerPop's vendor-neutral graph APIs, its Gremlin domain specific query language, and its graph computation model work together to provide a comprehensive approach for interacting with graph systems. TinkerPop is already supported by numerous commercial and open source graph databases, including Apache Giraph and, in the future, Apache Spark. Discover why TinkerPop 3 makes graph technology accessible and interchangeable in an analytics/data solution. As the technologies that drive TV Everywhere move from second screens (mobile devices) to first screens, the pressure is mounting for the systems to be pristine. This talk is a look at the test suite we have built to emulate adaptive bitrate (ABR) video in real-world network scenarios, the graphical analysis of the test data, and the configuration changes made to ATS to accomplish our business objectives. Zero to Test Driven Apache Infrastructure (Sean Carolan, chef.io) - Why should we test our infrastructure code? This workshop will teach participants to automate the installation of the Apache web server with the Chef automation framework. Participants will learn how to install and configure the Apache web server, and run tests against their infrastructure code. During the workshop we'll cover syntax and lint testing, unit tests, and acceptance and integration testing. Pharmaceutical and medical device makers spend over $130bn each year collecting and analyzing new data, mostly through clinical trials. It costs over $1.8bn to bring a new drug to market, and over $4bn when factoring in the cost of failures. By more efficiently understanding and analyzing this data, new drugs can reach patients quicker, safer, and at a lower cost. In this presentation, Eran will discuss how ETL pipelines can be built using the Apache and other open source projects to improve clinical trial development. We will examine how the system is built, the challenges we faced and how we are able to reduce cost, accelerate execution time, and improve results. We will also demonstrate how reliable resource allocation, scalable data ingestion adapters, on-demand and fault tolerant job deployments, and monitoring benefit clinical trial decision-making and execution. The Apache-incubating Brooklyn project gives a deploy-and-manage framework for any application. We'll show how blueprints for standing up complex software -- on metal, in clouds, docker or paas -- are written in Brooklyn, using the YAML syntax or the Java libraries, and then how at runtime this becomes a model of the running software. This view is essentially a control plane for applications, and this talk will cover autonomic control policies including scaling, failover, and upgrades, as part of the testable, source-controlled blueprint. With example blueprints including Apache Spark, Kafka, Hadoop and Ambari, Cassandra and ActiveMQ, Brooklyn can offer many projects better integration testing, streamlined used first-touch experience, and runtime ops dashboards. And as an incubation project, we're on the hunt for more beneficiaries and contributors. With the bloom of Apache spark, various big data applications shift to Spark pool to pursue better user experience. During the past, we partnered with several top China internet companies to build their next generation big data engine on Spark – including graph analysis, interactive, batch OLAP/BI and real-time analytics. In this talk, we will share our experience to further optimize not only the real-world applications but also in Apache Spark, which brought x5-100 speedup versus their original Map Reduce implements. Several lessons are gained for better user experience from building real-world Spark applications in production environment, which will be shared as well. In this presentation, we will describe the strategy and architecture behind Apache IgniteTM (incubating), a high-performance, distributed in-memory data management software layer that has been designed to operate between both new and existing data sources and applications, boosting application performance and scale by orders of magnitude. We will dive into the technical details of distributed clusters and compute grids as well as distributed data grids, and provide code samples for each. As integral parts of an In-Memory Data Fabric, we will also cover distributed streaming, CEP and Hadoop acceleration. This presentation is particularly relevant for software developers and architects who work on the front lines of high-speed, low-latency big data systems, high-performance transactional systems and real-time analytics applications. - Apache Ignite is either a registered trademark or a trademark of the Apache Software Foundation in the United Stated and/or other countries. Join Rikki as she provides a case study of the content strategy and community building effort for the Opensource.com publication, a project sponsored by Red Hat. You’ll go behind the scenes and see the nuts-and-bolts, the tools, the metrics, and the strategy that’s helped this project grow to over 500,000 page views a month. In this talk I will look briefly at what Traffic Server does and its basic use. I will then look at building vertically integrated network infrastructure for content delivery networks using Traffic Server as a component. The focus will be on the challenges encountered in this infrastructure, key benefits of such deployments, along with the impact on the Apache community. Some examples of deployed CDNs will be examined. 2014 was the year of Docker. The container-based world exploded on the scene with the promise to reinvent how you think about distributed applications. But is it just hype or are there immediate benefits to be realized? Join us to explore Continuous Integration/Continuous Delivery leveraging containers, one of the early use cases proving successful with Docker, resulting in reduced Dev/Test cycle times and lower infrastructure costs. We'll walk through the end-to-end CI/CD workflow, highlighting the big wins containers have introduced, as well as discuss common challenges to avoid. Lastly, we'll look ahead, identifying the next set of use cases to likely achieve real-world benefits from containers. Before the Apache Olingo project started there was an earlier Open Source project from which we learnt that it’s best to start from scratch and thereby avoid failures from the past. By starting afresh, we could do everything better than before.This is how the Apache Olingo was born. Michael Bolz has been working within the OData context for two years and during this time he has focused on the implementation of OData specification versions 2 and 4 as an Open Source Library named Apache Olingo. Apache Bigtop has created the de-facto standard in how Hadoop-based stacks are developed, delivered, and managed. Now we are doing this again! This time we are going to deliver Bigtop 1.x that is focused on not just BigData, but FastData. Next generation of Apache data processing stack will focus on in-memory and transactional processing of the large amounts of data. Do you know the different interpretations of “free”? If you’re in open source, you should. In this talk we’ll take a walk down memory lane in roughly the past 20 years of open source, how what “open source” means has changed and evolved, and how companies have in some senses co-opted it rather brilliantly to what I would say is our detriment. Gain some insight into the history of our beloved industry through the thoughts of those who were there to create it, the philosophical ideas that powered it, and how those ideas have both evolved and been in some ways subtlety manipulated in the years since. The Video IP Engineering and Research (VIPER) team at Comcast is responsible for HTTP video delivery that exceeds 500M transactions per day. Our DASH VOD Origin is a Java Tomcat application built with Maven. Our Super8 just-in-time packager is an Apache HTTP module written in C that uses Apache Portable Runtime. We implement our forward and reverse caching proxies using Apache Traffic Server, and our browser PlayerPlatformAPI is an Apache Flex application. We ingest and maintain 70,000 hours of VOD content, compress it using H.264/AVC, and store it on a 2PB network attached storage system. Sourcing our content in DASH (Dynamic Adaptive Streaming over HTTP) lets our Super8 packager easily convert video into proprietary formats such as Apple HTTP Live Streaming (HLS) and Adobe HTTP Dynamic Streaming (HDS) for video playback on mobile, browser, and IP set-top devices all across the country. Replacing Squid with Apache Traffic Server for Yahoo - Shu Kit Chan, Yahoo! Squid & Apache Traffic Server (ATS) are both caching proxy servers, which reduce bandwidth & improve response times by caching & reusing frequently-requested pages. At Yahoo we had long been using Squid & developed different use cases relying on various Squid features, such as Stale-While-Revalidate & CARP routing. And then in 2012 we began a new strategy to fully adopt the open source ATS & we had since been working hard on converting these use cases to migrate to ATS. In this talk we will go over the reasons & the benefits of the migration. We will also discuss our use cases & how we supported them using ATS. Finally we will share some performance numbers & conclude with our learning & a best practice guide. Idea of sharing of these info in Yahoo perspectives is largely inspired by Igor Galic's original talk proposal of "Replacing Squid with ATS" for Apachecon Europe 2014. Streaming data presents new challenges for statistics and machine learning on extremely large data sets. Tools such as Apache Storm, a stream processing framework, can power range of data analytics but lack advanced statistical capabilities. In this talk I will discuss developing streaming algorithms with the flexibility of both Storm and R, a statistical programming language. In this presentation, Joe Witt will outline the fundamental challenges of enterprise dataflow at scale and the resulting implications for analytics. Key capabilities of Apache NiFi (incubating) are designed to solve these dataflow challenges. Joe will address the importance of flow-based programming concepts, real-time command and control, and data provenance to provide a powerful platform to automate the flow of data between critical infrastructure systems in a complex globally distributed enterprise. For more see the wiki page. Please come for an informal Tomcat meetup. Hear about other ApacheCon attendee's experience or share your own experience of using Tomcat. Please come for an informal meetup for Apache Kafka. Hear about other people's experience or share your own experience of using Kafka. Ask questions to Kafka committers and SREs. We plan to have a few short presentations and lots of time for Q&A. The Apache UIMA BoFs is for all people using UIMA and/or interested in its development. We'll hear from the PMC chair, including an informal discussion of the many new aspects of the latest core release, and how you can contribute to UIMA. We'll share with each other what we've found interesting in using this framework in our various use cases. This is a great opportunity to get acquainted with and learn about the UIMA community, become more involved, and to influence UIMA's future directions. This BoFs may help expand and strengthen the community of UiMA users and developers, will explain the many new aspects of the current core release, and may encourage a wider use of UIMA. Apache UIMA users and developers and others interested in UIMA and its community and future directions are encouraged to attend. Explore state of the art of Tooling for Cordova Devs using a variety of platforms (Linux, Mac, Windows). Speakers will include developers from Microsoft, Adobe, Ionic and others. Group discussion on needs that have not been met yet with current tools and best practices. Did you know that less than 1% of the 4 million AP Exams taken last year was for Computer Science? At Apache everyone is a volunteer. You already know how powerful volunteering can be. TEALS (teask12.org) is another way of volunteering, but in this case to build a stronger IT sector in the future by teaching the next generation of Computer Scientists and Software Engineers. Through TEALS you can help high school build sustainable Computer Science programs throughout the country. These students are the future of the IT industry. By team teaching with an experienced classroom teacher, you will be able to hand-off the course materials and knowledge to them. They will then be able to maintain and grow a sustainable CS program in the school on their own. This BoFs is a chance to find out more about TEALS. Come along and ask whatever questions you have, suggest schools looking for help, offer some volunteer time, suggest ways in which the ASF might further help programs like TEALS and much more. If data is the lifeblood of high technology, Apache Kafka is the circulatory system in use at LinkedIn. It is used for moving every type of data around between systems, and it touches virtually every server, every day. This can only be accomplished with multiple Kafka clusters, installed at several sites, and they must all work together to assure no message loss, and almost no message duplication. In this presentation, we will discuss the architectural choices behind how the clusters are deployed, and the tools and processes that have been developed to manage them. Todd Palino will also discuss some of the challenges of running Kafka at this scale, and how they are being addressed both operationally and in the Kafka development community. In this presentation, Sergey Beryozkin will provide an overview of JOSE with the examples, describe Apache CXF JOSE implementation and show how typical JAX-RS applications can be JOSE-enabled fast. The use of JOSE inside OAuth2 applications will also be discussed. The talk will conclude with a demo. This talk will provide an introduction to OFBiz, its history and its community. It will also summarize the main areas of recent developments, where the project stands today and where it is going. Apache Airavata is software for providing services to manage scientific applications on a wide range of remote computing resources. Airavata can be used by both individual scientists to run scientific workflows as well as communities of scientists through Web browser interfaces. Airavata is composed of several components (Registry, Orchestrator, Application Factory, Workflow Interpreter, Messenger, Credential Store) that implement these capabilities. Airavata community is in the process of rearchitecting Airavata software to serve as the basis of a multi-tenanted, elastically scalable, fault-tolerant Platform as a Service for our community. This introduces several challenges to the current architecture as well as opportunities to leverage and collaborate with other Apache projects. We discuss these experiences and future directions. Systems at an enterprise level have a reputation for complexity and fragility beyond the ken of mere mortals. As systems age their tech debts fade into history, the assignment of roles and responsibilities ossify, and business deal optimizations accumulate into Lovecraftian nightmares. Customers of these systems often end up unable to get new features or integrations added due to conflicts with the owning silo's priorities or their fear of catastrophic failure. Using the principles of Open Source development has enabled PayPal to begin moving large scale systems development from a defensive and risk averse culture to one of flexibility and collaboration. This session will look at the pressures propping up the silos, explore one of the cases where we were able to break down the silo without breaking the system, and discuss some of the surprises that we found along the way. Intro to Load-Balancing Tomcat with httpd and mod_jk - Christopher Schultz, Total Child Health, Inc.
Apache Tomcat is a Java servlet container that is also a very capable web server. Learn how to build upon Tomcat's solid foundation by introducing httpd with mod_jk to improve your applications' scalability and fault-tolerance. We'll be covering basic "Getting Started"-style configurations that you can play-around with immediately, uncovering some advanced load-balancing features, knobs, and dials, as well as handling some practical topics like how to gracefully drain and bring-down a back-end node for maintenance, upgrades, etc. Prerequisites: Bring your computers with the latest JDK installed (JDK 7 is OK, but JDK 8 is preferred). With companies having made heavy investments in MapReduce the emergence of Apache Spark as a new processing platform is both tempting and daunting. Refactoring code or altering processing steps can be a significant investment. The Apache Crunch project can help with the transition utilizing its built in support for reusing code in both execution environments. Teams can make incrementally migrate their processing workflows or utilize the appropriate execution engine depending on their use case while still utilizing a common set of concepts provided by Apache Crunch. The presentation will cover the basics of Apache Spark, how to reuse the same code in both MapReduce and Spark, as well as differences with using Apache Crunch over plain Apache Spark. Text extraction tools are essential for obtaining the textual content and metadata of computer files for use in a wide variety of applications, including search and natural language processing tools. Techniques and tools for evaluating text extraction tools are missing from academia and industry. Apache Tika™ detects file types and extracts metadata and text from many file types. Tika is a crucial component in a wide variety of tools, including Solr™, Nutch™, Alfresco, Elasticsearch and Sleuth Kit®/Autopsy®. In this talk, we will give an overview of a new initiative within Tika to create an evaluation toolkit that allows integrators to evaluate Tika and other content extraction systems on client-specific documents. This talk will end with a brief discussion of a related initiative to take this evaluation methodology public and evaluate Tika on large batches of public domain documents. Note: This talk was co-authored with Paul M. Herceg, Lead Artificial Intelligence Engineer, The MITRE Corporation. Paul holds an M.S. in Computer Science and a B.S. in Computer Science-Mathematics, both from the State University of New York at Binghamton. WebSocket is a full-duplex transport protocol that can operate over a single socket and does not suffer from network restriction such as proxies and firewalls when establishing a duplex channel. The services based on JAXRS, such as those provided by CXF and the new OData services provided by Olingo can take advantage of WebSocket. However, to layer those JAXRS based services on top of WebSocket requires some protocol agreements to exchange the information required to invoke those services. Swagger-Socket, which is implemented using Atmosphere, is one such protocol that can be used by the existing CXF and Olingo services to directly utilizes WebSocket. In addition to Swagger-Socket, other protocols can also be implemented as an Atmosphere handler and used in those CXF and Olingo services. We have done several installations of Apache OFBiz in large companies that have revenues of $300M+ . This presentation will show why these companies selected OFBiz and how the system was implemented using BPM, agile project management and involved the practice of continuous improvement and deployment. High performance workloads have expanded. Today’s HPC users are demanding application frameworks to analyze vast amounts of data created by complex simulations. As the most widely deployed file system for HPC, Lustre software can play a critical role for these data-intensive applications. HPC Adapter for Lustre(HAL) provides adaptability to run Hadoop File System operations on HPC environment without any changes to applications. HPC Adapter for Mapreduce/Yarn(HAM) allows users to run their MapReduce/Yarn applications—without changes—directly on shared, fast, Lustre-powered storage. This optimizes the performance of MapReduce/Yarn tasks, while delivering faster, more scalable, easier-to-manage storage. This session explains the architecture and design level technical details to run Mapreduce and Yarn applications on HPC native schedulers like Slurm, MOAB, etc. Devaraj Kavali is an Apache Hadoop Committer and contributor to the Hadoop Yarn & Mapreduce. He is currently working with Intel Corporation. He has been working on various distributed platforms/applications for more than 8 years. Apache Sentry is a framework that enables fine grain, role based authorization for multiple Hadoop ecosystem components. Apache Sentry is a highly modular system that support authorization for various data models like Database style schemas, search indexes etc. It comes with out of the box support for SQL query frameworks like Apache Hive and Cloudera Impala Apache Hive, as well as open source search framework Apache Solr. This session will present an overview this authorization policy engine and its advantages over other security choices available today. This is the first part of a three part series looking at Tomcat clustering. Apache Tomcat provides many options for expanding a Tomcat installation beyond a single instance. This series of presentations, Mark will review the options for load-balancing requests across multiple instances and for replicating session data between those instances. The pros and cons of each of the options will be discussed to enable attendees to make the right choices for their environment. The presentations will also cover common misconceptions and configuration mistakes to enable attendees to avoid those pitfalls. This first session will cover reverse proxing since this forms the basis for load-balancing. I would like to present the work Apache CXF team has done around integration with Apache Tika for binary content extraction, Apache Lucene for full-text search capabilities, using JAX-RS/REST search extensions. Professional software developer, currently employed by AppDirect at Montreal, Canada. Joined Apache Foundation and Apache CXF project a year ago, actively participating in development process. Have no experience of speaking at conferences of such level. Apache Karaf becomes more and more popular and the new 3.0.x releases have been an important step forward for to increase the adaption of Karaf in enterprise. This talk will introduce the new features provided in Karaf 3.0.x and how they answer to the enterprise needs. It will also introduce the new features coming in the roadmap. Inventory Management for ingredients and products that have limited shelf life and the system needs to track expired and close-to-end-of-life inventory accurately. Production Management / Quality Assurance where batch tracking for both ingredients and products is mandated as part of recall management; Fulfillment systems must address the security and shipping labelling aspects; As the ingredients and products go through a number of life cycle stages typical to this industry, accurate labelling is the key for traceability. Regulatory compliance requires comprehensive audit history across the platform and document management with proper version control. In this presentation, we will walk you through the OOTB features, platform extensibility and tool-sets that are available under the hood that makes implementing the complex regulatory requirements easy to achieve. Fortress has recently been added as sub-project to the Apache Directory project. This session will provide an overview of the project and its roadmap. This is the second part of a three part series looking at Tomcat clustering. Apache Tomcat provides many options for expanding a Tomcat installation beyond a single instance. This series of presentations, Mark will review the options for load-balancing requests across multiple instances and for replicating session data between those instances. The pros and cons of each of the options will be discussed to enable attendees to make the right choices for their environment. The presentations will also cover common misconceptions and configuration mistakes to enable attendees to avoid those pitfalls. This second session will cover load-balancing, the process of distributing requests to a farm of two or more Tomcat servers. This presentation will illustrate how to complement existing 'traditional' analytical capabilities with Big Data analytics, e.g. by using text analytics and Natural Language Processing (NLP) as part of IBM InfoSphere BigInsights. This leverages key Hadoop components (MapReduce programming model, HDFS, HBase, Zookeeper, etc.) to analyse data from Enterprise-owned systems of engagement (e.g. call center transcripts, e-mail traffic, Facebook), and data from external social media sites (e.g. Twitter tweeds, Facebook sites, Blogs) and putting this in context with transaction insight from data on IBM z Systems. We will provide examples on how Hadoop systems - by using HBase and Hive with corresponding connectors to existing systems – and Big SQL on HDFS and Hive will enrich analytical insight. It’s 2015, and the Web is a dynamic place. The web crawlers of old tackled the problems of batch-based page discovery and indexing. A modern web crawler must be able to handle real-time and ubounded streams of new content. Storm-Crawler is a next-generation web crawler that discovers and processes content on the Web, in real-time with low latency. This open source (and Apache Licensed) project is built on the Apache Storm framework, which provides a great foundation for a distributed real-time web crawler. In this presentation, Jake Dodd will deliver a conceptual and technical overview of Storm-Crawler, demonstrate its use in a production environment, and discuss the project’s ongoing and future development. The Apache HTTP Server module configuration API can be a daunting challenge to approach. Per-server and per-directory configuration scopes, merging of configuration sections, optimizations to survive complex configurations, and configuration directive handling are all challanges to the beginning and even an adept Apache module author. Join us as we unwind this complexity for the new module author or existing module hacker and offer best practices, promote more robust module configuration, and allow for easier introduction of new features. The increased number of online services, especially of the in-the-cloud variety, led to increased demand for scalable, multi-tenant messaging platforms. Apache ActiveMQ is a robust, feature rich messaging framework. ActiveMQ already supports flexible deployment topologies via networks of brokers. With a minimum of effort, multiple JMS apps can be fenced-in in a multi-tenant environment. This presentation explains the required elements and demonstrates practical ways to deploy and manage elastic, multi-tenant networks of brokers. This is the thrid part of a three part series looking at Tomcat clustering. Apache Tomcat provides many options for expanding a Tomcat installation beyond a single instance. This series of presentations, Mark will review the options for load-balancing requests across multiple instances and for replicating session data between those instances. The pros and cons of each of the options will be discussed to enable attendees to make the right choices for their environment. The presentations will also cover common misconceptions and configuration mistakes to enable attendees to avoid those pitfalls. This final session of the series will cover session replication - the process of making a user's session data available on more than one node in a cluster of Tomcat instances. It has become common practice to statically partition a datacenter into siloed clusters for each application. But there is an increasing need to integrate Apache Hadoop with other datacenter services, ideally co-locating the data in HDFS/HBase with the services that need it. Myriad, recently submitted to the Apache Incubator, integrates Apache YARN into Apache Mesos, allowing Apache Hadoop jobs to run alongside other applications, all dynamically sharing a single pool of resources. Apache Mesos enables efficient resource sharing and isolation across a variety of distributed applications including Apache Spark, MPI, Jenkins, traditional linux applications, and docker images. In this talk, Adam will explain how Myriad enables Apache YARN and Apache Mesos to share the same physical datacenter resources, improving overall cluster utilization and operational efficiency. Apache Calcite is already used in a number of high profile Apache projects. Calcite allows you to create SQL(JDBC Compliant) interfaces over pretty much any inspectable object you want. During this presentation we'll look at the history of Apache Calcite, various use cases, existing adapters. We'll also take a look at how to create simple interfaces to various objects, how to join datasources using data federation and caching options available to improve performance. ActiveMQ clustering with a network of brokers is susceptible to race conditions, significant overhead for consumer creation and removal, lack of consolidated reporting, messages becoming stuck and more. Configuring and standing up broker topologies requires a fair amount of effort, knowledge, and tooling. A new effort is under way to address these concerns and more, in order to provide the ActiveMQ community with truly scalable, reliable, and maintainable cluster topologies. We'll review these concerns, discuss ideas for addressing them, and demonstrate some of the work in progress. The long-term vision is clustered ActiveMQ as a unified, complete, and reliable JMS solution for the enterprise. Having a topology of brokers operate no different than a single broker to individual client applications enables true horizontal scaling and enterprise management of messaging load. Development of ofbiz-based projects has, in the past, been limited to what could be installed easily from a quick source code checkout. In ofbiz, the default configuration attempts to use java to provide all resources, apis, and automata one would need. This makes getting up and running quickly, but a production deployment is seldom done this way. In a production environment, there will generally be many different pieces of software configured to run as a single unit. Sometimes, multiple machines will even be utilized. However, it has been hard to represent such an environment for a developer to use; that is, until the introduction of docker. With docker, it becomes easy to spin up small virtualized instances of linux, which then allows for the exact same production software to be installed and used by developers in the field. The ASF Infrastructure Team has recently introduced a code-signing service for Apache projects. This presentation will explain what the benefits of code signing, how code signing service at the ASF works and how projects can start using it. Monitoring Apache Tomcat - Christopher Schultz, Total Child Health, Inc. This talk presents a case study of obscure error messages raised by Apache Subversion, based on questions raised by Subversion users who ran into them. We'll discuss what developers and users can do to help raise the quality of error messages in Subversion and other projects. Apache Solr has been adopted by all major Hadoop platform vendors because of its ability to scale horizontally to meet even the most demanding big data search problems. Apache Spark has emerged as the leading platform for real-time big data analytics and machine learning. In this presentation, Timothy Potter presents several common use cases for integrating Solr and Spark. Specifically, Tim covers how to populate Solr from a Spark streaming job as well as how to expose the results of any Solr query as an RDD. The Solr RDD makes efficient use of deep paging cursors and SolrCloud sharding to maximize parallel computation in Spark. After covering basic use cases, Tim digs a little deeper to show how to use MLLib to enrich documents before indexing in Solr, such as sentiment analysis (logistic regression), language detection, and topic modeling (LDA), and document classification. Comcast has millions of customers nationwide and serving them "over the top" video and other content efficiently is a daunting task. In this talk Phil Sorber will explain how Comcast does this leveraging Apache projects and commodity hardware. He will explain why decisions were made and what was learned from trying to execute this monumental task. Apache Qpid Proton is a robust, lightweight implementation of the AMQP 1.0 messaging specification. 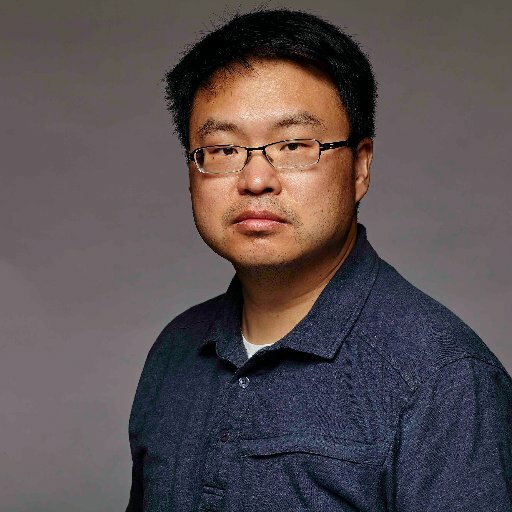 In this presentation, Richard Li will discuss how a resilient microservices architecture can be built using asynchronous messaging using Apache Qpid Proton. cGroups provide a great way to manage system resource on a Linux system. They give an easy and straightforward interface to restrict or guarantee resources for any process. In most cases you just put a process inside a cgroup and forget about it, but in a highly dynamic environment, you need a way to monitor and change the restriction parameters of any cgroup. In this presentation, Viktor Petersson will talk about some of the cgroups basic features and how to script them with python and cgroupspy. A place for all things in-memory: projects, people, ideas, roadmaps, discussions. I run the NumFOCUS foundation and we spread over Python, R, and Julia language communities. Additionally we see GPL, BSD, MIT, and APLv2 licenses further splitting our communities. These divides cause rifts in both usage and collaboration between our tools. Having worked with many projects that cross these boundaries, I want to share the ways we can all work together to build a better open source future. our efforts to scale up Spark, which enabled us to set a new world record in 100TB sorting, beating the previous Hadoop MapReduce record by 3X using 1/10 of the nodes. Reynold is a co-founder and the Chief Architect of Databricks. Apache Hive has become de facto standar SQL on big data in Hadoop ecosystem. With its open architecture and backend neutrality, Hive queries can run on MapReduce and Tez. On the other hand, Apache Spark as an open-source data analytics cluster computing framework has gained significant momentum recently. Marrying the two, that is, providing a new execution engine to Hive, has many benefits for Spark users and Hive users. Hive on Spark (HIVE-7292) is probably the most watched project in Hive with 100+ watchers. The effort has attracted developers from both communities, around globe, and from brand companies such as Intel, IBM, Cloudera, and MapR. This presentation will talk about the motivation, design principles, architecture, challenges, and current status of the project followed by a live demo. Today if a byte of data were a gallon of water, in only 10 seconds there would be enough data to fill an average home, in 2020 it will only take 2 seconds. The Internet of Things is driving a tremendous amount of this growth, providing more data at a higher rate then we’ve ever seen. With this explosive growth comes the demand from consumers and businesses to leverage and act on what is happening right now. Without stream processing these demands will never be met, and there will be no big data and no Internet of Things. Apache Spark, and Spark Streaming in particular can be used to fulfill this stream processing need now and in the future. In this talk I will peel back the covers and we will take a deep dive into the inner workings of Spark Streaming; discussing topics such as DStreams, input and output operations, transformations, and fault tolerance. We are continuously producing vast streams of data, and thanks to phenomena such as the Internet of Things, the volume of streaming data is poised to see exponential growth over the coming years. Businesses want to process this data almost as soon as it is produced, drastically reducing time to action, and enabling a whole new category of use cases. This paradigm is called “Near Real-Time Stream Processing”. In this presentation, Anand Iyer will describe real-world use cases, across diverse industries. He will describe the open source tools (Kafka, Spark Streaming, Storm, Samza, etc) that are used to build near real-time stream processing architectures, and will also describe some of the common architectural patterns. Lastly he will describe future trends, such as machine learning and sql on streaming data.